Martin Luther King Jr. Holiday can also be referred to as the King Day of Service. 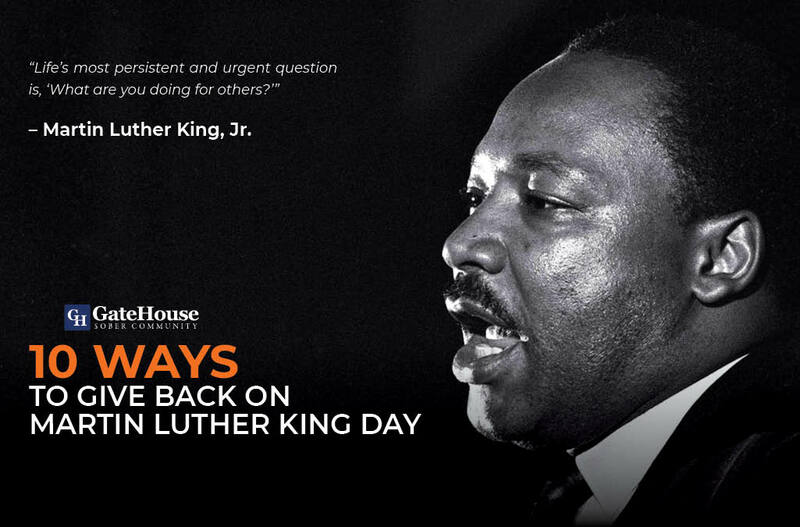 To honor everything Martin Luther King Jr. stood for, thousands of people across the country donate their time to make a difference today with outpatient treatment near me. The cornerstone of all Twelve step fellowships as well as in groups in Day Group (outpatient treatment), is emphasizing the importance of service. Once we complete the steps, the fellowships believe the only way to keep what we have is by giving it away to the still suffering addict or alcoholic. As a recovering addict or alcoholic, or a member of the sober community in outpatient treatment, we have so many options to be of service to anyone in the fellowships or even our communities. If you are thinking of joining our sober community and are looking to find an outpatient treatment near me, contact GateHouse Treatment.